Instructions: Heat the olive oil in a saucepan and add the carrots , onion and celery. Add the diced chicken. Cook for a while stirring occasionally. Add the juice of two lemons with the broth. Sprinkle with salt and pepper and simmer for about 45 minutes. Enjoy this recipe low calorie soup ! 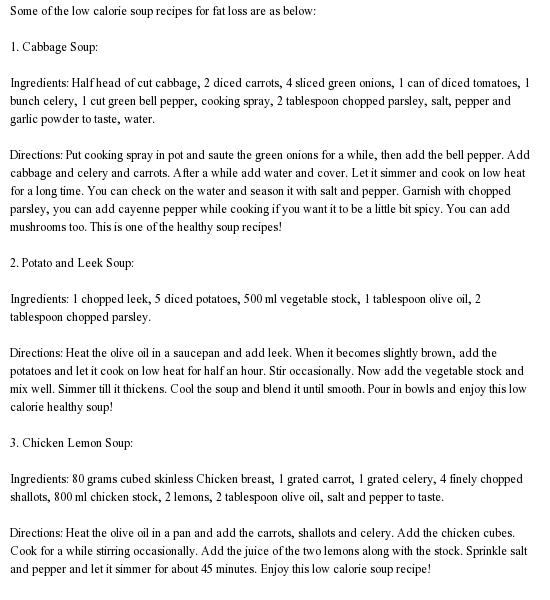 This entry was posted in healthy soup, healthy soup recipes, recipes and tagged healthy soup, healthy soup recipes, recipes on December 3, 2013 by chrissjonss.